Company’s wine guru talks taste, night harvesting and what’s on tap. Q. 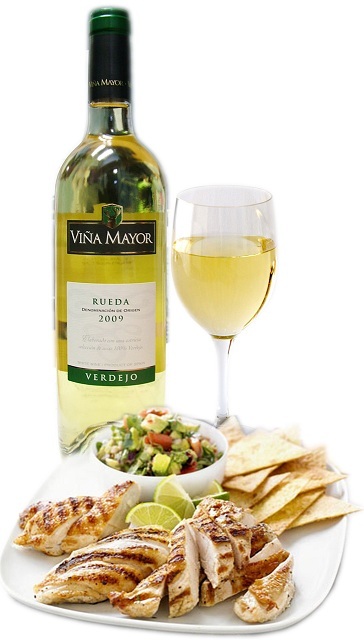 In ten words or less, how would you describe the 2010 Vina Mayor Verdejo? A. Brilliant fruit, medium bodied and dry. Great with or without food. Q. How did you first get involved in the wine industry? A. I worked as a display merchandiser for a beverage distributor. Q. We had learned that this particular grape is picked at night. Can you talk a little bit about this process: the challenges, how it makes for a better wine, etc? A. Night harvesting of grapes avoids premature fermentation due to the daytime heat and generally delivers better conditioned fruit to the cellars. The better the fruit the better the wine. Q. What is your personal favorite dish to pair with this wine? Q. Anything else you’d like to add? Any wines in the pipeline you’d like to let our customers know about? A. Be sure to look for Viña Mayor, Ribera del Duero D.O. region red wines made from Tempranillo. They are loaded with fruit and complexity.